In just over three weeks, my partner Joel and I will be packing a handful of possessions into our backpacks and taking off for five months of hiking, partying and dorm-living in the US, Canada, Mexico and South America. 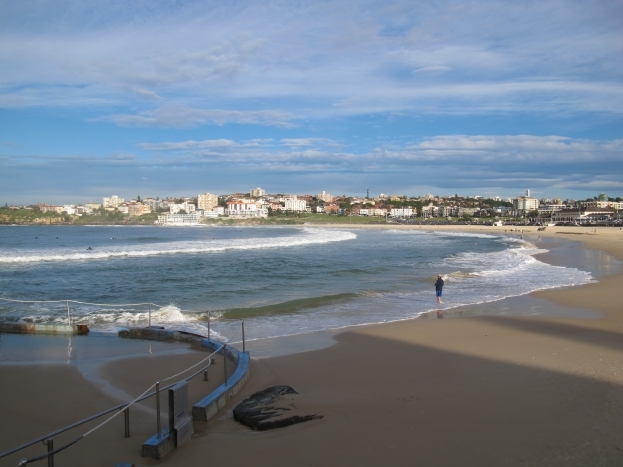 We’ve been living in Bondi for the past three years, but will be moving back to Melbourne when we get back, so our next three weeks will be spent revisiting all our favourite haunts, soaking up our last moments living with a surf beach on our doorstep. 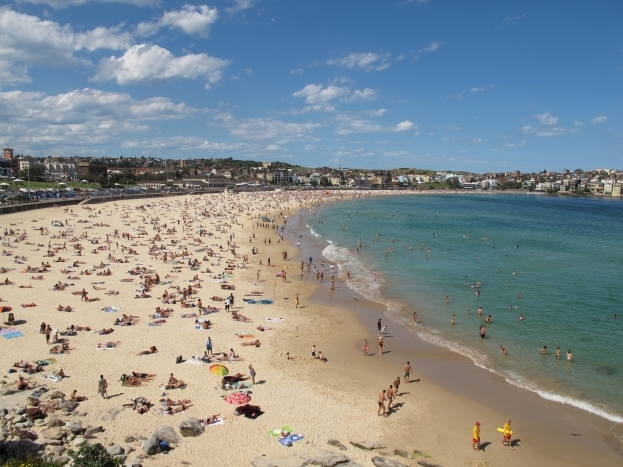 Bondi Beach – It’s hard to believe this amazing beach is only about 6km from the heart of Sydney CBD. With soft white sand and turquoise water – there’s no better place to spend an entire day chilling and people watching. 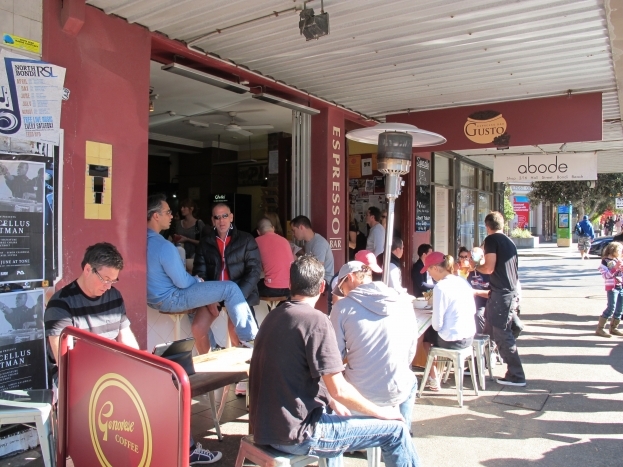 Gusto’s (16 Hall St) – I can’t walk past this coffee shop without ordering their bircher muesli with berries and rhubarb. Word is the coffee’s to die for, too. 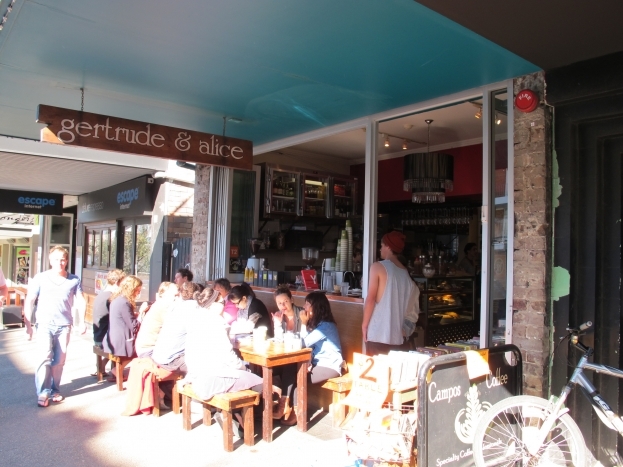 Gertrude & Alice (46 Hall St) – There’s something about secondhand books that make me smile. Thanks to Gertrude & Alice, my book collection is a precarious tower that threatens to topple over at any moment. Grab a coffee and cake, then take a seat on one of their vintage couches to soak up the warm vibe. 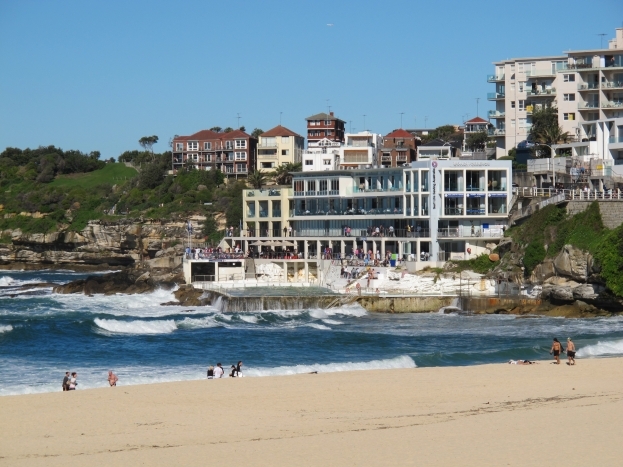 Icebergs (1 Notts Ave) – You can’t bring visitors to Bondi without taking them to Icebergs for lunch overlooking the water. Upstairs is a fancy restaurant, but if you’re after a more low-key affair, head downstairs into the club. You’ll sit on the balcony, overlooking the bright blue water, eating fresh seafood for less than $25 and sipping on wine and beer at RSL prices. 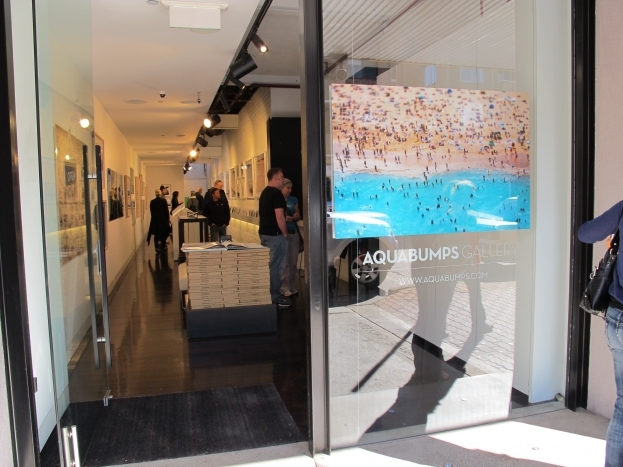 Aquabumps (151 Curlewis St) – Bondi photographer Eugene Tan, aka “Aquabumps” is a local hero. He heads to the beach every morning to take shots of the sunrise surf, then displays his best shots in the Aquabumps gallery. For a taste of his work, check out the Aquabumps website. 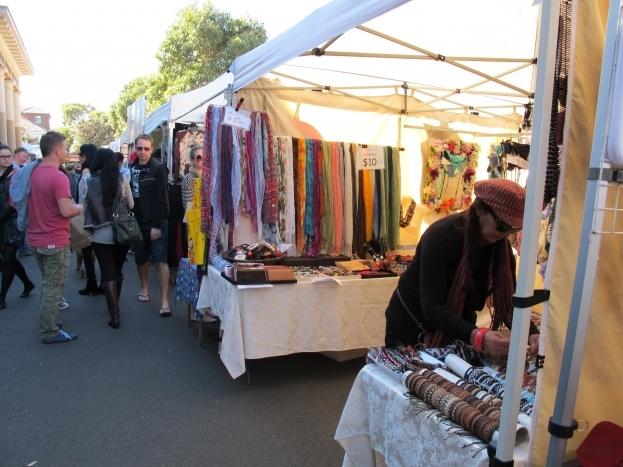 Sunday markets (Campbell Parade) – Every Sunday, market stalls take over Bondi Beach primary school, selling everything from vintage fashion to homewares and old records. Take plenty of cash – you’re guaranteed to find gold. Looking for a professional writer who can turn around tight copy quickly? Email kimberly@kimberlywrites.com.au today.